Award-winning SugarVeil® Icing has the whiteness of a satin-finish flexible royal icing, but has quite a different taste: a creamy, melt-on-the-tongue, not-too-sweet, pleasant flavor. 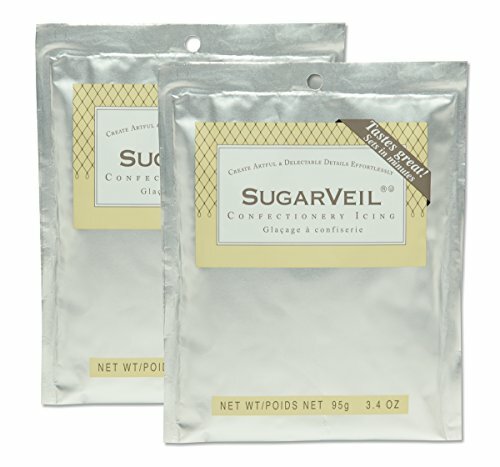 SugarVeil's great finesse is as a flexible icing which may be piped, combed, or smoothed onto silicone or parchment, that later "sets" so that the decorations may be peeled from the surface and malleably draped around the contours of a cake. Use with a SugarVeil Confectioners' Mat to create instant decorations, or fill a cartridge of the SugarVeil AirPen Piping Dispenser with SugarVeil Icing to personalize a cake, pastry or plated dessert with words and intricate decorative pieces. Pipe SugarVeil Icing directly onto a cake or use "off the cake" to make pieces in advance that may be stored air-tight to retain their flexibility and used when desired. This silicone lace mat is easy for cake chef to mold out 2 sugar laces in one time. It is a good choice for bakers to decorate your fondant wedding cakes. 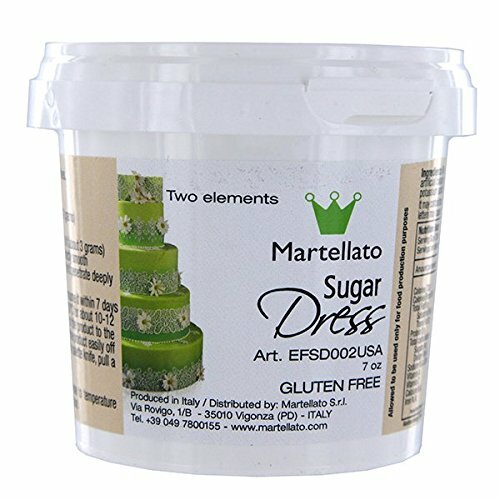 Sugar Dress Confectionery Lace Mix 200 Grams (7 Ounces) by Martellato. 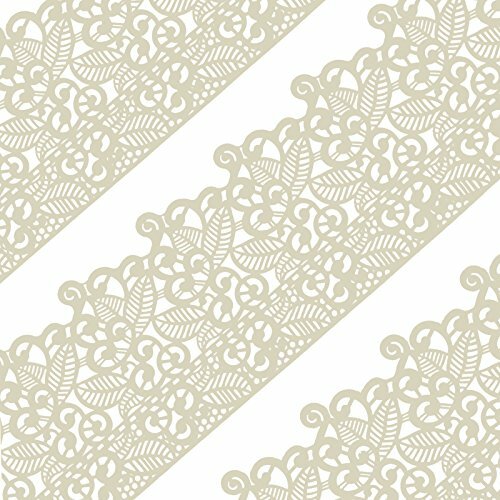 Sugar Dress is a product that provides a lace effect decoration in several motifs for your cakes. The final result will be sufficiently elastic and resistant to avoid breakage during the demolding or positioning on the cake. Furthermore the decoration maintains a clear white color and it's possible to customize by adding some other colors. Just add water to the two ingredients, mix well and spread it on your silicone lace mats. Let it dry for 6-8 hours or put it into the oven at 158-176F for 10-12 minutes and you'll have your lace decoration quickly and easily!!! Plastic pail of 200 grams (approximately 7 ounces). 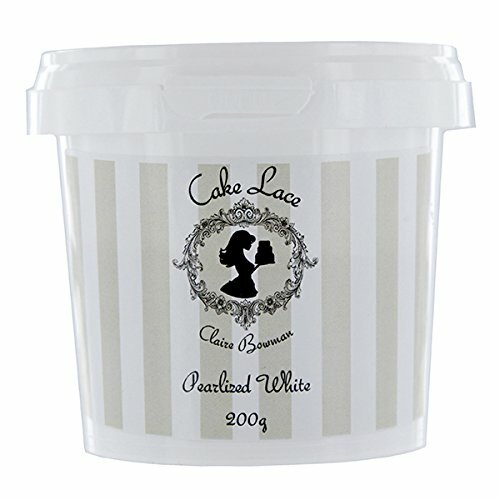 Original White Cake Lace Confectionery Lace Mix 200 Grams (7 Ounces) by Claire Bowman. 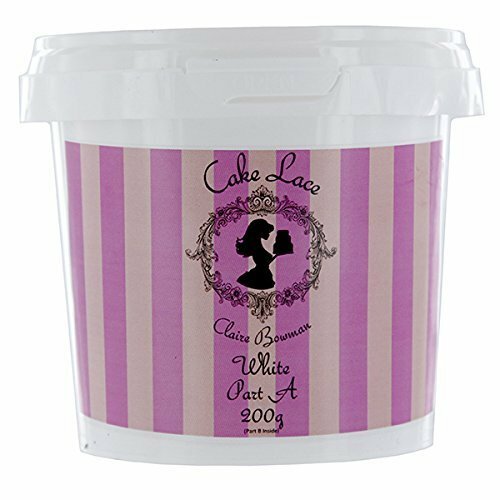 Cake Lace is an innovative new method of adding edible lace decorations to your cake! Cake Lace is easy to use. Simply make according to the manufacturer's instructions, spread onto the mat and place in the oven at 80°C (175 F). Bake for 12 to 15 minutes, take out of the oven and cool for five minutes and it is then ready to use. 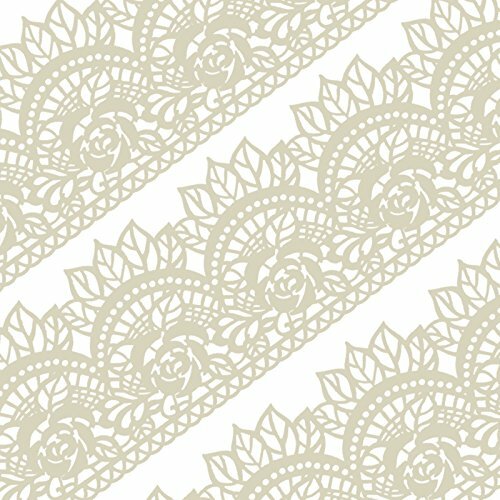 From start to finish your edible Cake Lace could be ready to use in less than 30 minutes, perfect for adding edible lace onto your wedding cakes! The beauty of Cake Lace, once it has been made, is that it will stay moist and pliable for many months to allow you to create masterpieces that may take a period of time. 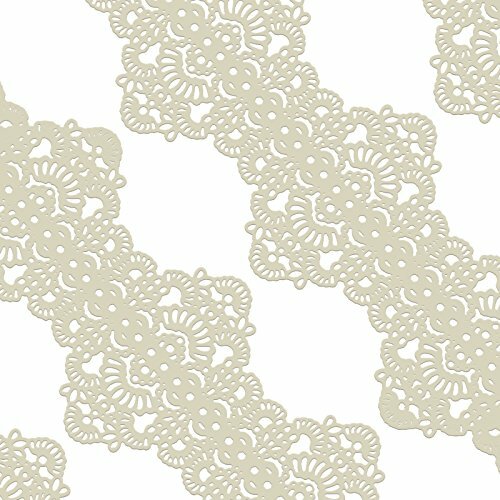 Cake Lace is the perfect edible lace decoration! 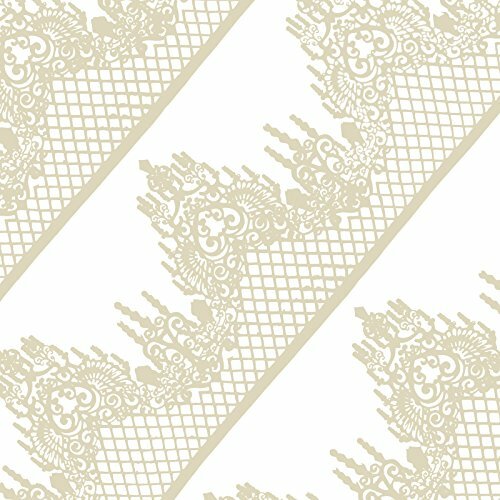 Original White Cake Lace comes in a 2 separate parts, Part A and Part B. It is suitable for vegetarians and is gluten-free. May contain traces of milk, soy, sulphites and hazelnuts.